It's the distinctive front end that sets this motorcycle apart. I don't consider my 1999 Royal Enfield Bullet stylish. To me, it looks like the dictionary definition of a motorcycle. The traditional Harley-Davidson motorcycle strikes me the same way. It so obviously looks like a motorcycle should look that it's hard to believe someone "styled" it. Someone did. His name was Brooks Stevens. I learned this from the response to my post recalling the futuristic styling of vehicles and household appliances when I was a kid in the 1950s. One rhubarb came from my friend, author Doug Kalajian. "Any reason you didn't mention the obvious connection, Brooks Stevens?" he chided me. Brooks Stevens, who died in 1995, was an industrial designer who shaped automobiles and household products — and, yes, motorcycles — during a career from 1935 to at least 1978. 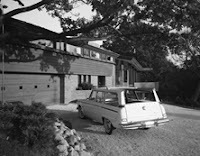 Stevens designed the Studebaker Wagonaire car I used as an example in my post. It had a innovative sliding roof to increase cargo space. 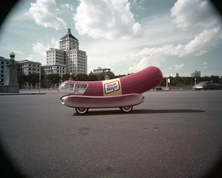 Doug remembers Brooks Stevens best for the outlandish Oscar Mayer Wienermobile. 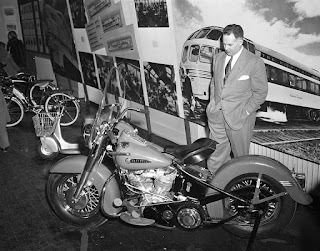 "He ... designed Harley-Davidson motorcycles including the 1949 Hydra-Glide Harley, one of his first, helping create the new suspension forks in the front, bucket headlight, and the streamline design. 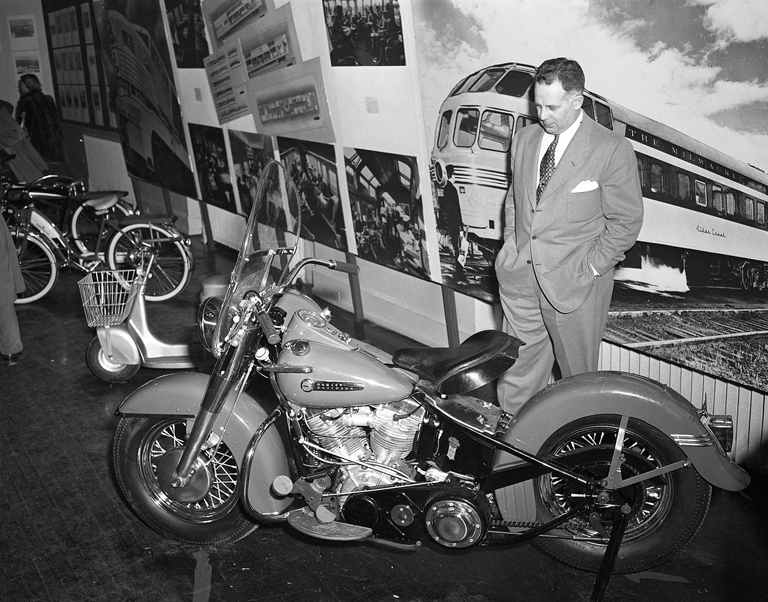 All Harleys since, including models in production now, are based on Stevens' body designs," according to Wikipedia. 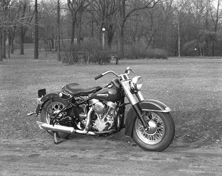 Famed designer Craig Vetter wrote the story of Stevens' influence on the design of Harley-Davidsons in a Cycle World Magazine article in 2004. Stevens worked in Wisconsin his whole career, so having the Milwaukee-based Harley-Davidson as a client is not a surprise. The Milwaukee Art Musuem has a magnificent, searchable online archive of his products and designs. It is well worth browsing. You'll be amazed at the breadth of goods he shaped. Children's tricycles and pedal cars! Steam irons! Lawn mowers! My favorite example of Stevens' influence on life is his invention of the wide-mouthed peanut butter jar. He said he liked peanut butter (me too!) so much he was frustrated trying to get it out of the tall, narrow bottles it came in. Stevens coined the term "planned obsolescence," which he thought was a good thing in a consumer-driven economy. If he were alive today he would be tearing up his own designs, making products look like tomorrow's tomorrow. Personally, I'm satisfied to appreciate the wonderful vision of the future he gave us in the 1950s and '60s.